THESE DAYS, whenever any airline unveils a new look, I wince in anticipation. I usually need to meditate a bit, or have a few sips of peppermint tea, before I dare take a look. So it went after getting word that Irish carrier Aer Lingus was revealing its first corporate rebranding since 1996. Three deep breaths, click, and behold. There’s a feeling that I don’t think anyone has yet come up with a word for. Maybe there’s a word for it in Gaelic? It’s that feeling when you can’t quite hate something, much as you want to, and you’re forced to accept a simmering disappointment instead. That’s how the new Aer Lingus makes me feel. “Underwhelmed” is putting it another way. Where do we begin? First off, we don’t see the emerald green of Ireland. We see a tropical cocktail of teal and lime. Then we see the carrier’s timeless shamrock emblem, which it has used for more than eighty years. They haven’t disposed of it, thank the Irish saints, but here it is twisted into a strange, somewhat disorienting perspective. And, of course, this being the airline business in the second decade of the 2000s, we see an anemic white fuselage, awkwardly tail-heavy due to yet another of those tail-swoosh things where the color comes washing down the fin and around the plane’s rear end. Yawn. There was nothing great about the design this one usurps — a soggy, green-on-green motif with a blurry shamrock. A do-over was, you could say, overdo. This one is better, absolutely. But it’s less of an improvement than a wasted opportunity. Does it? When I see teal, I think of ugly Christmas sweaters, or maybe the Caribbean Sea. I don’t know if there could be a more hysterical, self-parodying glossary of corporate ad-copy buzzwords. What all of that actually describes, once you boil out the jargon, is a livery that represents nothing — which is maybe appropriate, since it looks like nothing. Using words like “dynamism” is bad enough, but to include the phrase “Instagram-worthy” makes this officially the most nauseating brand promotion I’ve ever read. Over at Emirates, meanwhile, we have another from-bad-to-worse story. It’s not their livery, thankfully, which remains one of the better and more distinctive ones out there, but their slogan. Emirates had been running with “Hello Tomorrow,” whatever that was supposed to mean. It sounds like the catch phrase for a theme park or a software expo. Now, however, they’ve switched to the almost unfathomably boring “Fly Better.” Is this an airline, or a heartburn medication? As the kids say: seriously? One can only imagine how many millions of dollars Emriates must have for an advertising budget. And this was the best its consultants could come up with? We love this tagline because it works on two levels. It speaks to the imagination because it sounds futuristic, a touch sci-fi, or even a bit tongue in cheek. And also it’s true. It’s perfect. And in exchange, I don’t expect much. I ask only for a million dollars in cash or five years worth of unlimited first class travel. Again the young people have a word for this: cringe-worthy. The trouble with Emirates and a few other Middle East airlines, is that allegedly, they do not allow passengers to board if their passports are stamped with an Israeli visit. If true, they should be banned from landing in the U.S. and any other democracy. Yes, well the problem with this allegation is that it is false. As for “the U.S. and any other democracy”, can you guess what that makes me think? You don’t care, I know. All I’ll say is that those who live in glass houses shouldn’t throw stones. Aircraft styling is an art but corporations don’t know that. They outsource the job to a graphics company which then submits numerous versions to airline senior management who have no art background. Then they make it a committee effort with one person saying I like that but get rid of that and another person saying Make that a lighter green so what you get is crap. Polaris’ Indian motorcycle division wanted a new model Scout and gave the job to one stylist to do front to back. The result was brilliant, no committee effort, Scout FTR1200 Custom. Hello Patrick, I’ve been looking forward to your verdict on the new Aer Lingus livery and can’t say I disagree in any respect. Sure, it’s very contemporary, even if the colours are a bit random, but it’s not in any way distinctive. Since the 1970’s, when the livery your picture above shows (with the weird white shamrock) Aer Lingus aircraft have been instantly recognisable at any airport, but no more, sadly. My guess is that it is designed to be cheap, and will ultimately be easily interchangeable with other IAG brands, once BA gets a similar makeover. Then moving aircraft around the group brands will be a simple matter of repainting the tail and changing the graphic on the fuselage; no need for a complete repaint. My first response to “fly better” is that it’s a recommendation. At which point the wise customer will simply do just that, and choose a different air carrier. A very dumb slogan choice. Imagine a restaurant with “Eat better”? We have same taste in aerial design. And amen to that, Patrick! I do like the 80’s design, but despite the many protestations here, I much prefer the new livery to the one it replaced, which was just drab. my encounter with William Burroughs in the late 70’s I was there. How this comment relates to Are Lingus is anyone’s guess, but I never knew that William Burroughs had been a Throbbing Gristle fan. I suppose that’s not surprising, though. Burroughs was everywhere. Someone should have turned him loose to design a livery, or compose the first-class lunch menu. But if Burroughs designed the lunch menu for First Class, wouldn’t everyone need to be naked? You nailed it. Would probably have been a big hit. Looks to me like Aer Lingus just “borrowed” the equally boring Alaska livery, replacing the Inuit with a shamrock. In each case, a step down. Either livery is preferable to the current one. Earlier, I compared the new livery to that of Alaska, and I think the problem is the same in each. Just as an Irish airline *needs* Emerald Green, so the forest green and dark blue accents of the old Alaska livery epitomized the Pacific Northwest mountain ranges and coastlines. In each case, the designers have “tropicalized” the colors (almost the exact same colors, as it turns out), to completely remove any sense of place. In fact, that appears to have been intentional on Alaska’s part; rumors around here, before the rebranding, were that Alaska was going to go to their subsidiary’s name of “Horizon Air” altogether to make it more of a global airline untethered to the Pacific Northwest. While Aer Lingus hasn’t changed to a new, Gaelic-free name, the sense is the same. In Alaska’s case, that’s maybe an idea they should have followed through on. It doesn’t make sense for Aer Lingus, though. You can fly Aer Lingus to any number of places in Europe, but you’re always going to pass through Ireland first. They are still Ireland’s airline. On the topic of cultural identity and good design relative to color, composition, and content, what I found extraordinary about Ireland before they joined the EU was that their currency was utterly unique; it didn’t stamp heads of state but rather native animals on their coins. It’s a lost opportunity. I researched my lineage and discovered I’m from the Raven Clan, a pagan history lost on contemporary culture. Transcontinental jetliners are machines, yet it’s still a wonder to see unique cultures represented on such worldwide flying machines. With common awareness of this amazing canvas, cultural identities through visual art could improve on the lost art of travel. The new Aer Lingus livery isn’t great, but it’s not terrible, either. It’s just OK. However, the new shamrock annoys me because two of the leaves don’t touch the stem. Either they all should touch the stem, or none of them should touch the stem. The logo is literally disjointed. Yep, as with Lufthansa’s new CS, Aer Lingus now looks like a cheap, charter company. Still, nobody’s holding a gun to airline executives’ heads to spend great sums of heard-earned cash on these pathetic agencies. Also, they could get in touch with Azerbaijan Airlines, Vietnam Airlines, Thai Airways, whatever, and ask them who designed Their lovely liveries. I mean — somebody did. And that somebody knows how to do it. I don’t think you’re fully right in how these designs come about. I work as a copywriter. I’m often called upon to come up with ideas for graphic designers to turn into images for ads or campaigns. Makes sense, since the images need to match any copy that will appear in the ad or on the poster. Before I type a word or say anything about what image to use, I’m involved with discussions with clients. I ask them what they want to convey. If they want to convey a serious image, a playful one, if they want to edgy, and so on. After discussing with them, I go back and do up a proposal laying out three or more options and giving sample copy and describing possible visuals. After they’ve gone over it and given feedback, I prepare a brief, explaining what I intend to go, now with more examples focused on whatever they said they feel best suited them. Again, I’m open to discussion to fine tune this. Then, and only then, do I get to work with my copy and working with a designer. Then we take it to the client and show them our mockups. You know what happens then? The SOBs decide that they know how to make it better. They give you their ideas and talk about ideas that they rejected in the very first round of discussion. They dismiss your clever visual pun as too hard to understand and want you to work in the specs of their network switch or paper shredder. Heaven help you if there is a committee. Every one of them wants to chime in and offer their “insight”. Sure, I understand. I’ve collaborated on books and other lengthy texts and run into the same sort of phenomenon. And I doubt that the airlines sporting My Favourite Liveries just turned some genius loose and lapped up whatever came back. And yet: somehow something beautiful emerged. What slays me are the Missed Opportunities and the mania for fixing things that ain’t broke. I’m uncertain about how high the stakes are. It could be, as Patrick Smith thinks, that people choose airlines on the basis of price and that’s it. Among other factors, surely liveries come last. So why bother at all? Because it isn’t just us geeks. A truly arresting livery or logo will be attractive to people if only subconsciously. I don’t know who came up with the Northwest Airlines compass logo, but it was brilliant. Did even 2% of the passengers Get It? Possibly not. But it seems to me that the matter should be taken seriously. Another excuse to revisit Cvltvre Made Stvpid, as one should from time to time, especially PDF page 72 et seq. 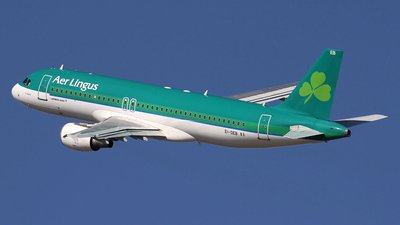 At least Aer Lingus avoided the fuselage-length swoosh thing (GMST, I think you call it). As for the “shamrock in the wind”, that’s not as bad as American’s strange, US Postal Service inspired logo that replaced their previous iconic eagle. Yeah, but they gave in to item number 2 on the current airline livery trend list : The Tail Coloring That Keeps Going On To The Fuselage Thing. I kinda suspect that the first graphic designer that did this did so by mistake – his marker slipped or something – and rather than start over, he decided to make the whole back of the plane that color. Unfortunately, it caught on. Tis the season for bad branding apparently….cue Marriott’s Bonvoy!???!?!? Must be something in the water! Scheissenbedaurn may be the the word you are looking for. Uhh.. I’d be freaking careful with “Scheissenbedauern” (note the ‘e’) since it truly is largely unknown to German-speakers. May be an age thing, not sure. If one is to use loan-words, then only those that are widely used in the language they come from. However, if people were to abandon Aer Lingus en masse (now there’s a handy load-word) owing to the new livery, then we’d have a satisfying dose of Schadenfreude. On the other hand, Germans seem to like using the English word “shitstorm.” I find that funny as hell. I am looking forward to a future photo of the “Instagram-worthy shamrock on the wingtip — visible only from inside the aircraft” on this website because I don’t intend to be baited into looking at the airline’s Instagram feed. I think I most enjoy Patrick’s spirited commentary on the design of aircraft livery. Keep it up, Patrick. Maybe the airlines will listen and hold themselves to a higher standard. At least, Air Force One doesn’t have the TRUMP name on it in 10 ft high gold letters (yet). I’m an electrical engineer, but I work at a capital-D Design firm, surrounded by numerous artsy types, so some of it must have sunk in. My pet peeve is three-letter company names. If you’re older you can sometimes remember what those letters used to stand for. I guess the upside is, when they get bought, there are fewer letters to change on the building. I can only imagine how he feels today with all the meaningless, computer-generated company names like Taligent, Accenture, or Cojective. He must be apoplectic. Emirates should steal the old line from Western Airlines, “The Only Way to Fly.” The bird in the commercial who used to say the line, who carried a walking stick, put a bit of wobble into the word “only” to stress it. This would probably infringe on someone’s IP, but I was thinking of “*The* Trans-World Airline”. What IS it about airlines that they have to keep changing liveries anyway? When was the last time General Electric, say, changed its logo? If it ain’t broke, don’t fix it. And if it IS broke, Good God, don’t keep opting for these acts of esthetic vandalism? Air France, Alitalia — there are still a few good ones around. May no-one have the bright idea that “it’s time” for an update. Personally I love Azerbaijan Airlines, Vietnam Airlines and a few others. But otherwise, largely a skyful of missed opportunities. “Who will be the first carrier, we wonder, to smarten up and reintroduce one of its looks from decades past, old-fashioned striping and all”? To what extent did Japan Airlines do this when they reintroduced the crane? Not the whole hog, I guess. But the crane circle was the main thing. Now that would be something: an airline with a hog as its logo. Of course the Trump Shuttle has come and gone, so that was a missed opportunity. I kind of like the “shamrock in the wind” idea, albeit overly cartoonish. Maybe the windswept petals represent Irish people flying around the world?